Chiara is a PhD candidate at Bocconi University, conducting empirical research on decision-making in early-stage entrepreneurship. 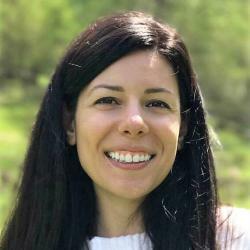 Chiara’s research examines new phenomena, such as crowdfunding, accelerators, and hackathons to better understand changes in the modern entrepreneurial pursuit. The data gathered as part of this research aims to form the largest dataset of hackathons around the world. Her dissertation research is supported by The Strategic Management Society (SMS) through the Strategy Research Foundation scholarship. Chiara holds a Bachelor’s degree in Business Studies and a Master’s degree in Organizational Behaviour and has previously worked in Human Resources.